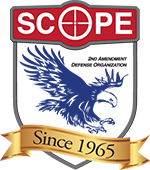 Show your support for our 2nd Amendment rights with a Associate Business Membership. Dues are $50 annually, or $250 for a Sponsor Level Membership. Members will receive a window sign to display, a listing on our website and contact information. We will also supply them with membership applications and a supply of each issue of the Firing Lines for their store. Sponsors will also receive a wall plaque for display in their store. Association of Former NYS Troopers, Inc.
B & B Repair Service, Inc.
FG Rayburn Mason Contractors, Inc.
Fire Mark Insurance Agency Inc.
G. Chipman Insurance Agency, Inc.
Div of PM Research Inc.
S&S Auto Body, Ken-Ton Inc.